A new pattern! And this one’s the perfect center of the venn diagram of knitting, cute things, and everything Harry Potter. Mrs. Weasley (my favorite character from the Harry Potter books)is known for showing her love for her children through her knitting. So I can’t think of a better way to welcome a new baby to the world than with a personalized sweater based on Mrs. Weasley’s classic design. This charming pullover sweater is knit at a slightly large gauge, so it works up in no time into a warm and cozy sweater. Knit flat, with very simple shaping, the Baby Weasley Sweater is ideal for newer knitters. And, the letter embellishment is added with the duplicate stitch after the sweater is finished (perfect if you don’t know the baby’s name until after they’re born). 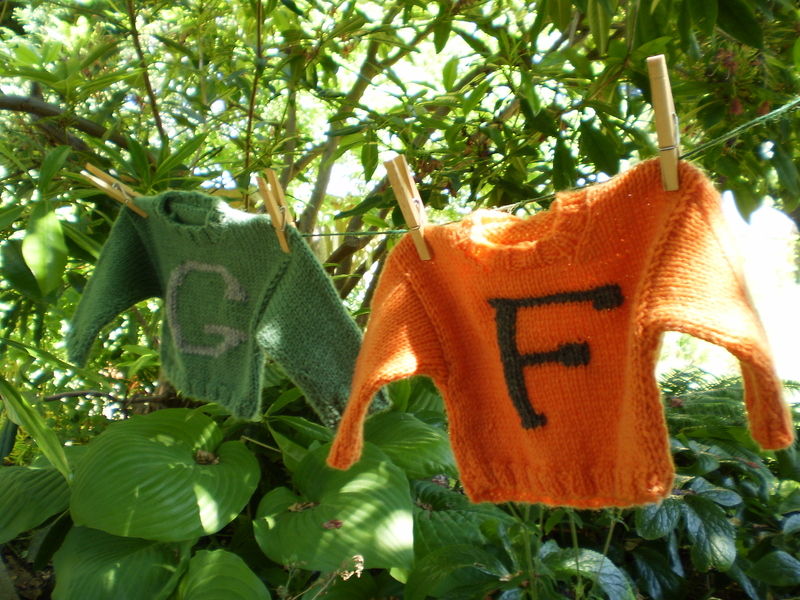 The Baby Weasley Sweater will become a favorite of both the baby and their parents. Get the pattern for free here! 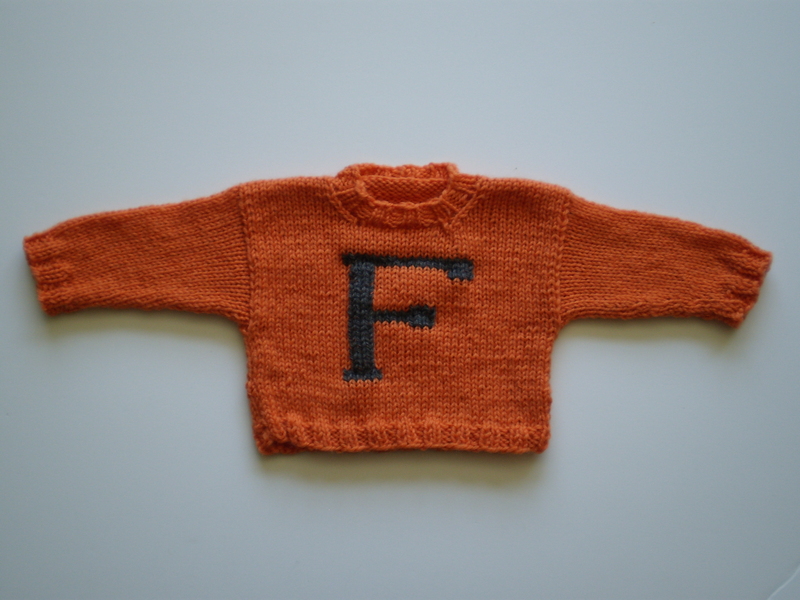 This entry was posted in Patterns and tagged baby, fred and george, free, free pattern, mrs weasley, pattern, pullover, sweater, weasley, Weasley Sweater on June 24, 2015 by onemilljellybeans. Such a cute pattern! Thank you for all the letter charts!!! !